Jidai Kurahachi - Kampai! : Kampai! The nose is clean with hints of clay and freshly turned earth. The slightest hint of sake also invades, as would be expected with a rice shochu. The first sip hits with a rich, earthy molasses flavor with a grassy, dirty, dry finish that lingers on the palate. This shochu is dryer than sweet. Jidai Kurahachi’s lingering flavor is extended even further when served on the rocks. This black koji kome shochu has a lot of character, as would be expected. 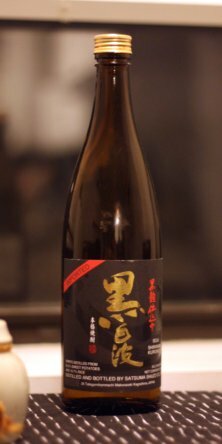 Unfortunately, that character made it difficult for this shochu to find a market in the U.S. and word is that importation has been discontinued. If you are fortunate enough to find a bottle on a local liquor store shelf, do yourself a favor and pick it up. I believe I’ve seen it recently at both Landmark and Ambassador Wines in Manhattan. By “the date shochu” we don’t mean a shochu that’s good to drink when you’re on a date, though that may be true as well. We mean a shochu made from dates. In fact, Tenpo is the only shochu made from dates. 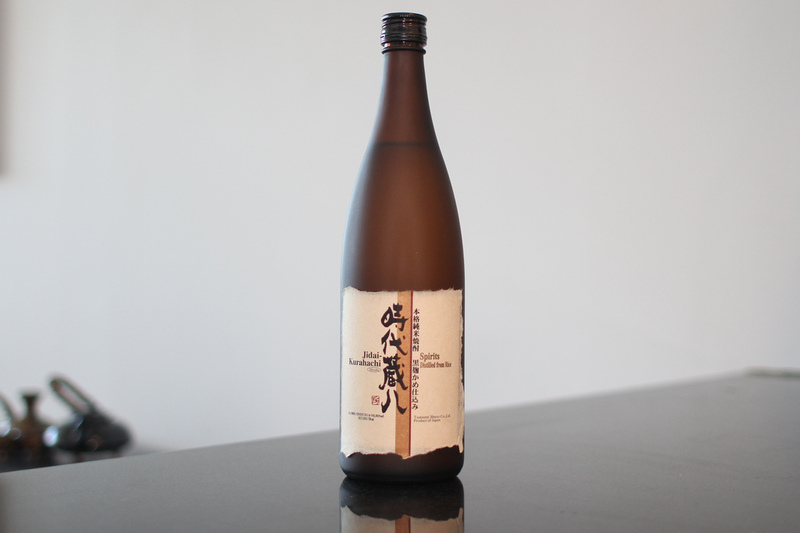 That puts it pretty far afield from the usual shochu grains – sweet potato, barley, or rice. 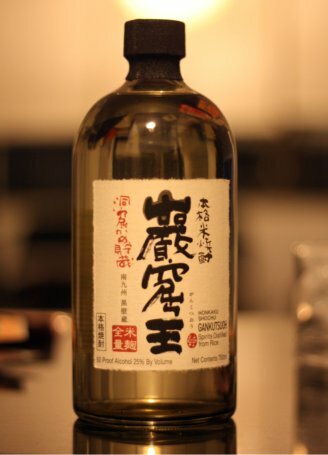 It’s also one of the only genshu (undiluted) shochus available in the U.S. As expected, the 36% alcohol is much more present than with diluted shochus. Further complicating this already interesting shochu is the aging process.